Thanksgiving must be the ultimate foodie holiday. We wondered what divalicious dishes would be on our chef pals’ and food friends’ Thanksgiving Day tables. We reached out on Twitter to a few folks including several of our #FoodTVChat chef hosts. 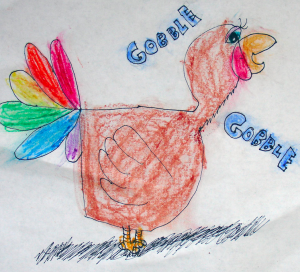 Please enjoy their tweets in this special Thanksgiving Diva Foodies post! Updated 11-18 with more delicious ideas! Let’s start this off with some divalicious martinis from @TheMartiniDiva! 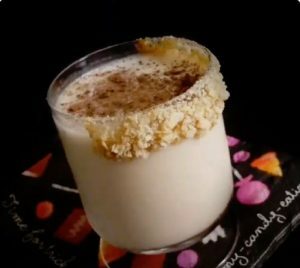 Terri Dennis kindly shared 2 ideas with us – a pumpkin spice martini and a chocolate bourbon cocktail. I need both! In addition to creating fun cocktails Terri is an artist. We love the playfulness of her work and of course her martini tweets! Lots of cool stuff on her site! Chef reminds us at the end of the day or the beginning of the meal it’s about creating and reliving of memories of food, friends and family. By the way, if you’re looking for special dessert treats drop by Porter Hill for Chef’s handmade, incredible, chocolate delights. Many are made using antique molds including a special Santa one. Chef Logan Guleff, @loganjrchef, offered an innovative idea for a Thanksgiving side… Acorn Squash stuffed with Apple Raisin Stuffing. By the way, Logan is winner of MasterChef Junior season two, has won numerous awards including one for his first cookbook, “Logan’s Chef Notes And Half Baked Tales” (which would make an awesome holiday gift!). Read my interview with Logan about why it was important to him to write this cookbook to support young cooks. Chef Terry French, Winner Food Network World Extreme Chef. Chef’s citrus thyme rubbed turkey sounds great but it’s his walnut bourbon sweet potato pie that we’re dreaming about. You’ll definitely want to save the date 12/3 when Chef hosts #FoodTVChat 7pE on Twitter! Sharon Damante, Food Network All Star Academy. Love how Sharon incorporates her Italian heritage into her Thanksgiving meal with lasagna including home made ricotta cheese… but of course! Kent Rollins, Food Network Throwdown with Bobby Flay, Chopped Grill Masters and Chopped Redemption, NBC’s Food Fighters. In the tradition of going Big in the West, Kent is making a prime rib and a gobbler. We’d really love to nibble on his butter cream corn too! Chef Jessica Entzel, Food Network Winner Cutthroat Kitchen. Chef Jessica’s Thanksgiving menu is as elegant as her table with Foie Gras Stuffing and Champagne. Thanksgiving cheers! Logan Guleff, Fox Broadcasting, Gordon Ramsay Winner MasterChef Junior – Season Two. Logan confirmed that he is indeed making the turkey. His #duckfat has us intrigued. Chef Emily Ellyn, Food Network Winner Cutthroat Kitchen; All Star, Cupcake Wars. In her stylin’ retro rad way, Chef Emily gives us perfect Turkey bites that include all the flavors of Thanksgiving from turkey to cranberry sauce. Be sure to check out her recipe! Chef Adam Greenberg, Food Network Chopped Champ. Chef Adam will be making an apple-fennel sausage stuffing using croissants. We’d say that qualifies as Divalicious! @DivaFoodies @sweetsavant @Emily_Ellyn @Minishar @Chef_French @Dingraham83 @LoganJrChef @logansw62 Apple-fennel sausage croissant stuffing! Chef Demetra Overton. Love love love ? how the onions on Chef Demetra Overton’s onion cornbread look like flowers. Very creative… very divalicius Chef! Erin Evanson, Food Network Cutthroat Kitchen. Buenos Aires-style is how Erin is going on her Thanksgiving Day with wild turkey raviolis. Def an OMG! Chef Dwayne Ingraham, Food Network CutthroatKitchen Winner; Spring Baking Championship What’s for dessert you ask? For pastry chef Dwayne Ingraham it’s Pies! Pies! Pies! He’s making three Apple, Molasses Pecan and Chocolate Chip. We need… all three. Check out Chef’s Spring Baking Championship pie for Strawberry Blueberry Rhubarb Pie. We so wish we could turn this post into a progressive dinner and join each chef and food friend on the food holiday of the year! Wouldn’t that be beyond amazing? What we can do is wish You a Divalicious Thanksgiving Day filled with wonderful food, friends and family. Marianne & I are grateful for your friendship and support you’ve given us on Diva Foodies and #FoodTVChat. Please follow us on Twitter @DivaFoodies and Facebook for more food fun!